Jon Renau is famous for his outstanding fashion colors and sharp eye for the latest trends, plus medical and chemo wigs. Wigs of excellent quality at affordable prices. We have combined over 20 years of research and expertise to create your complete Hair Growth Program*. We know that nourishing thinning hair and promoting existing hair growth* can take time so we're here for you every step of the way. Our ongoing investment in scientific studies and consumer research helps us to continually improve our products, our knowledge and the advice that we can give to you. Discover the secret of beautiful hair with Viviscal. While Viviscal dietary supplements nourish thinning hair and promote existing hair growth* from the inside, our Gentle Shampoo and Moisturizing Conditioner help create the ideal environment for healthy hair growth on the outside. Plus our Hair Filler Fibers give the appearance of thicker hair in seconds. HairMax works by enhancing the natural hair growth cycle through a process known as Photo-Bio Stimulation. The light energy delivered by the HairMax effectively "awakens" the individual hair follicle. The end result is healthier, thicker and more vibrant hair. 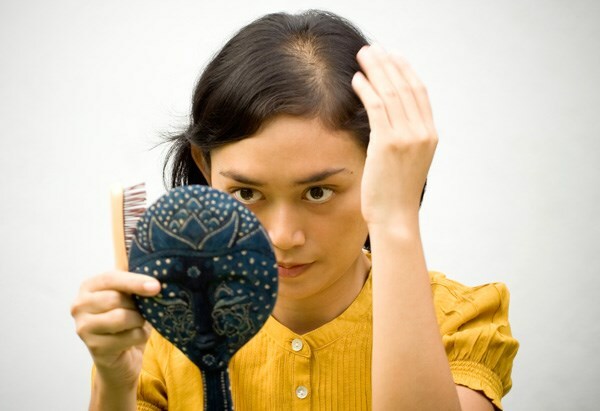 Toppik eliminates the appearance of hair loss and thinning. Its natural Keratin fibers intertwine with your existing hair to make it look thicker and fuller in seconds. It is completely undetectable and lasts through wind, rain and perspiration. Charged with static electricity these amazing fibers stay securely bonded to your existing hair for a full natural look that lasts all day. Toppik is available in 9 shades (hair colors) and 4 sizes. It's the "secret weapon" used by millions of men and women around the world. Redken Haircare now has a solution for all types of thinning hair. New INTRA FORCE includes an exclusine in-salon service, two unique at-home systems and intensive treatments for both natural or color-treated hair. Specific needs...simple decisions. . INTRA FORCE improves hair condition while helping to reduce thinning.